The sale of tacos, bacon-wrapped hotdogs, pupusas and other snacks on L.A. sidewalks is a distinctive part of the city’s urban culture. It’s also illegal. That could soon change, thanks to a push from L.A. city councilmen Jose Huizar and Curren Price as well as efforts of advocacy organizations. Scroll down or click in the menu below to explore what legalization would mean for Los Angeles. Originally published on Intersections South LA, March 24, 2014. Felipa Mayo starts her job the same way each weekend. She heads out to the sidewalk of her stucco bungalow on Compton Boulevard and checks to make sure there are no cops around. Then she pulls a white toque over her brown hair bun, sets up a few folding tables in the driveway and unpacks the contraband she’s so worried about getting busted for selling: Tacos. The corn tortillas served with chicken, beef or goat could get Mayo in trouble with the law. The hundred other weekend vendors on this bustling stretch of Compton Boulevard in South Los Angeles -– some selling quesadillas, burritos and pupusas, others hawking merchandise ranging from electronics to underwear – operate with caution too. Every once in a while, city inspectors show up to clear the streets and confiscate equipment and goods. It’s happened to Mayo, a mother of five from Mexico who is studying culinary arts at L.A. Trade-Technical College. She’s just grateful she wasn’t slapped with a hefty fine as well. Sidewalk vending in the city of L.A. is illegal. Now, after several years of advocacy efforts by more than 40 organizations, new regulations are on the horizon that will protect vendors from being penalized with fines or having to risk the loss of their cooking equipment, food and merchandise. Councilmen Jose Huizar and Curren Price say the City Council will consider a proposal to legalize street vending in the next month or so. Jointly, these two councilmen called for studies and recommendations last November after City Council unanimously passed a motion to create the new ordinance. “It’s a huge market and a primary source of income for many people, yet they have to constantly look over their shoulder for fear of receiving a citation,” said Price, who represents a large swath of South L.A.
Huizar, who represents Downtown and parts of north and East L.A., said legalization could lighten that burden for vendors. “They can come out of the shadows and earn an honest living without fear,” he said. 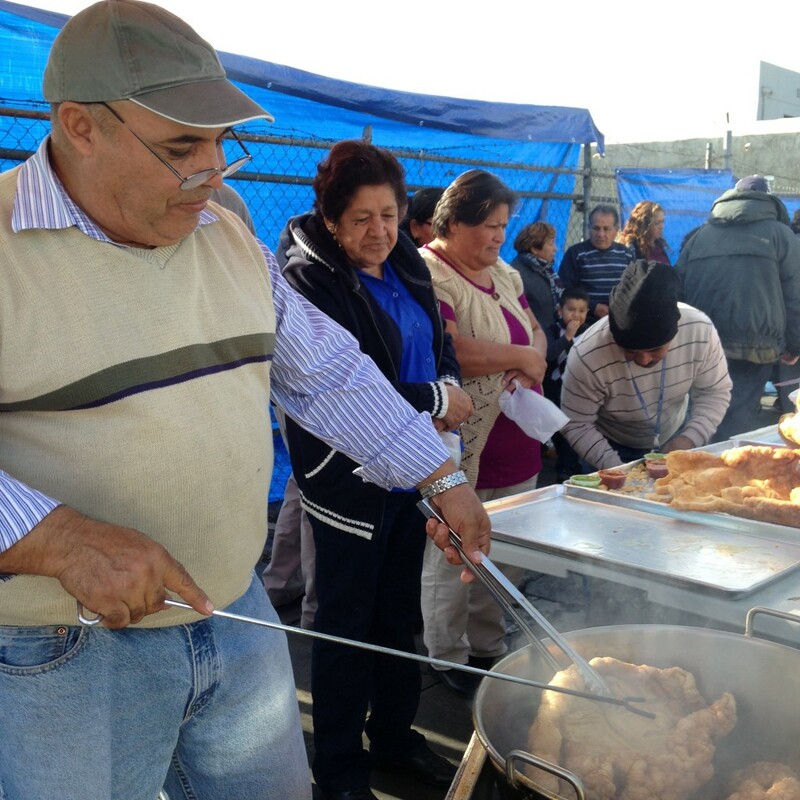 Sellers like Enrique Peralta, who fries pork skin into crunchy pieces of chicharron at Mercado Olympic, a stretch of Olympic Boulevard in downtown’s industrial district, said he and his fellow entrepreneurs are tired of being treated like criminals. “I don’t sell drugs, I don’t rob… I am working,” Peralta said in Spanish. Mac Anthony Camacho, a taco seller, said selling food keeps people away from crime. His eight siblings sold tacos growing up in Guadalajara, Mexico, and continued to sell tacos when they came to the U.S. as teenagers. Now he and his brother Israel “El Peke” Villada sell about 1,200 each weekend, grossing roughly $1,800. Sellers said they are particularly tired of monthly enforcement sweeps. The city’s Bureau of Street Services issues tickets for violating the municipal code, while the county’s Street Vending Program confiscates equipment from sellers without health permits. In the past two years, Peralta, the chicharron vendor, said he has been fined twice, amounting to about $300 and $600, and has had his equipment, worth roughly $200, confiscated by authorities four times. He would prefer to buy a permit. The East L.A. Community Corporation, which has pushed for new permitting rules, estimates that sellers earn between $15,000 and $30,000 annually. Guadalupe Ordaz, a fellow Mexican immigrant who stopped by Peralta’s stand to buy chicharrones, said she could relate. “It’s quite difficult if you leave your family, and then they don’t let you work in peace,” she said in Spanish. 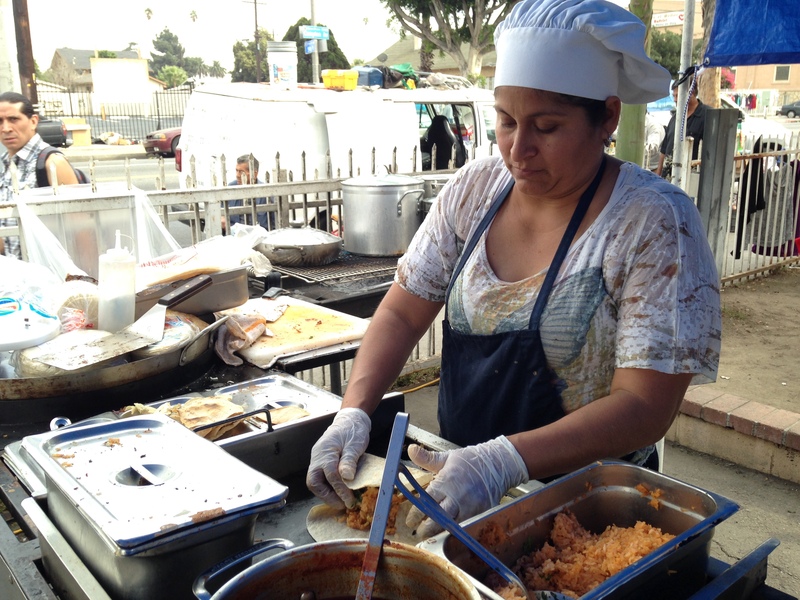 Many Latin American immigrants in L.A. depend on street vending for survival. In Latin America, street food is “pervasive,” said Portnoy, and immigrants have transported their culinary traditions to Los Angeles. “Street food is now a part of our culture too,” she said. These days, street food festivals take place throughout the year in Los Angeles. Gourmet chefs invite street cooks into their kitchens, like the “Baja Chef Series” at high-end Playa where John Sedlar Rivera handed over the reigns to Tijuana taco vendors and charged guests $5 to $18 a plate. And acclaimed chef Susan Feniger of the “Too Hot Tamales” television cooking show named her trendy Hollywood restaurant “Street,” an homage to her favorite curbside snacks from around the world. Meanwhile Angelenos go into a frenzy tracking down their favorite street stands and write passionate reviews on Yelp and Chowhound. Food critics, for their part, praise parking lot fare as if it were pricey gourmet cuisine – and some argue that despite the low prices, indeed it is, as Pulitzer Prize winning food critic Jonathan Gold wrote for Saveur magazine in 2010. Meanwhile, L.A. embraces immigrants more than it did in the ’70s and ’80s when immigrant-run street vending first boomed. The population is nearly half Latino. 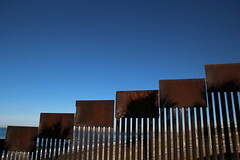 Immigrants comprise 35 percent of L.A. County, and one out of 10 entered the U.S. without proper documentation. The last mayor grew up in a Mexican American family and the current mayor speaks Spanish. Huizar grew up in the Boyle Heights but was born in Mexico. Trying to stop the illegal trade of food and other merchandise is futile, said Bill Esparza, a blogger who has gotten more than a million page views on his site Street Gourmet L.A.
“You can shut down the Mercado Olympic, but the vendors will just scatter to other neighborhoods,” he said. Twenty years ago, a first — and last — try at legalizing a zone around MacArthur Park failed. The vendors, who collaborated with Mama’s Hot Tamales restaurant, faced too many limitations, and enforcement of those who refused to comply with the new rules was too sparse. 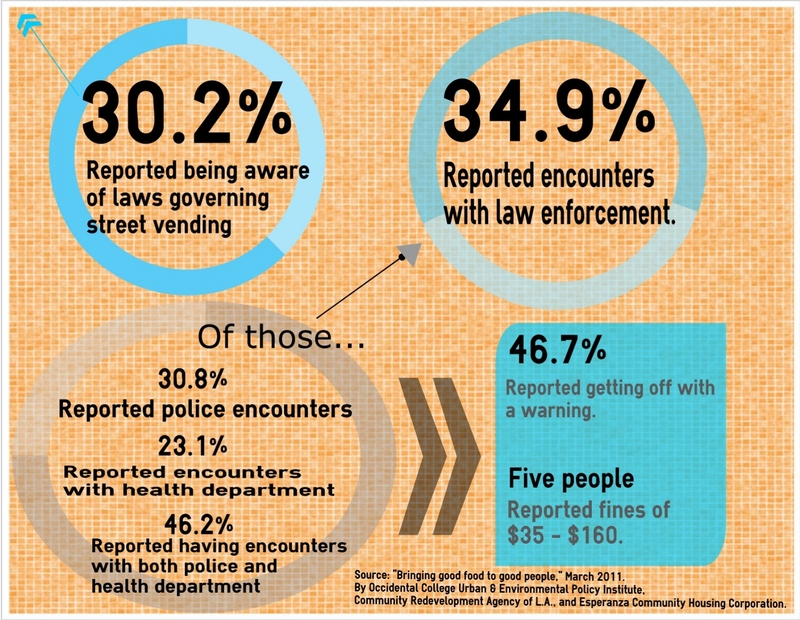 Shutting down illicit taco stands just isn’t a police priority. And even if the Los Angeles Police Department wanted to crack down on vendors, said sergeant Ike Ornelas of South L.A.’s Newton Division, its resources are too few. A permitting program this time around needs to be attractive to sellers, said Esparza. Regulating an underground market could help influence it for the better, said Mark Vallianatos of Occidental College’s Urban and Environmental Policy Institute. The institute says legalization could encourage healthy food sales in areas such as South L.A. that have fewer fresh food markets than more affluent neighborhoods. 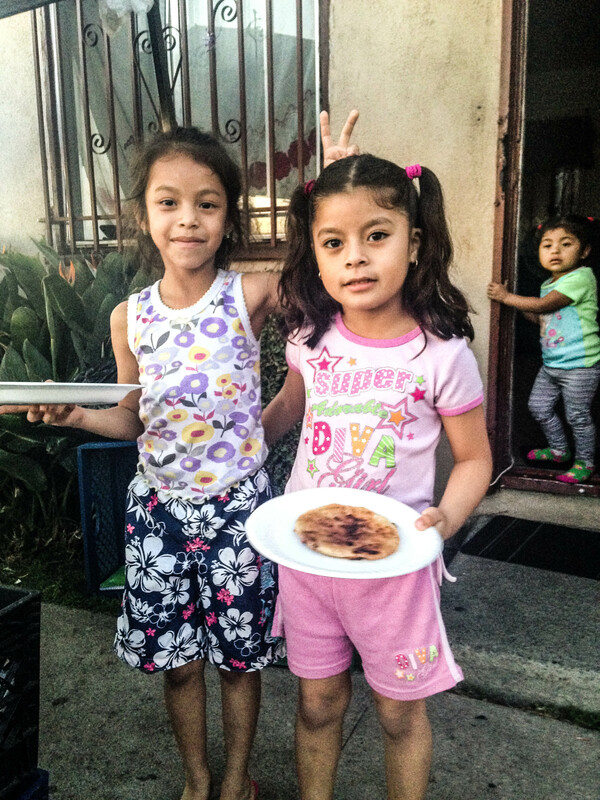 Meanwhile, South L.A. bears the highest poverty and obesity rates in the county. Nearly 30 percent of households live in poverty and 35 percent of adults are obese. L.A.’s tight vending regulations date to the early 20th century when streets bustled with streetcars, horse-drawn carts and pedestrians – a “mass of humanity,” said Vallianatos. By the ’30s, the city had prohibited all sidewalk sales. Since then the county has only issued health permits to vendors operating outside of the city of L.A. or on private property. Many city planners across the country now say urban life is more vibrant when people and commerce share the streets. They say brick-and-mortar restaurants could benefit, too. Restaurateurs have long protested that street vendors were unfair competition – operating at lower costs and stealing business. 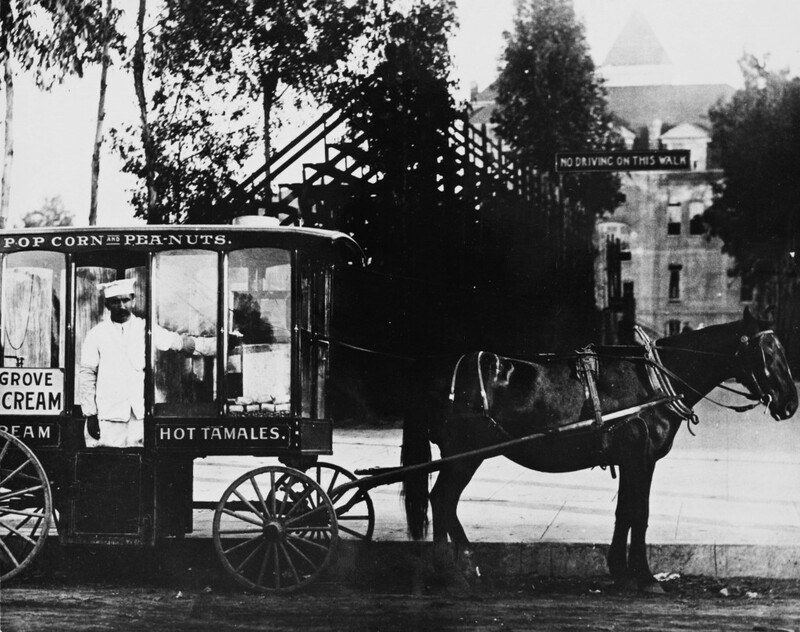 Their complaints date back to the 1890s, when tamale carts run largely by Mexicans and African Americans became popular. Now that gourmands are embracing the street food scene, many say cooperation could reward both groups. The California Restaurant Association said it supports some form of legalization and sees street vending as an “excellent opportunity for entrepreneurial operators to get started in the industry,” said spokeswoman Angelica Pappas. Enrique Diaz, owner of La Carreta restaurant in South L.A., has mixed feelings. 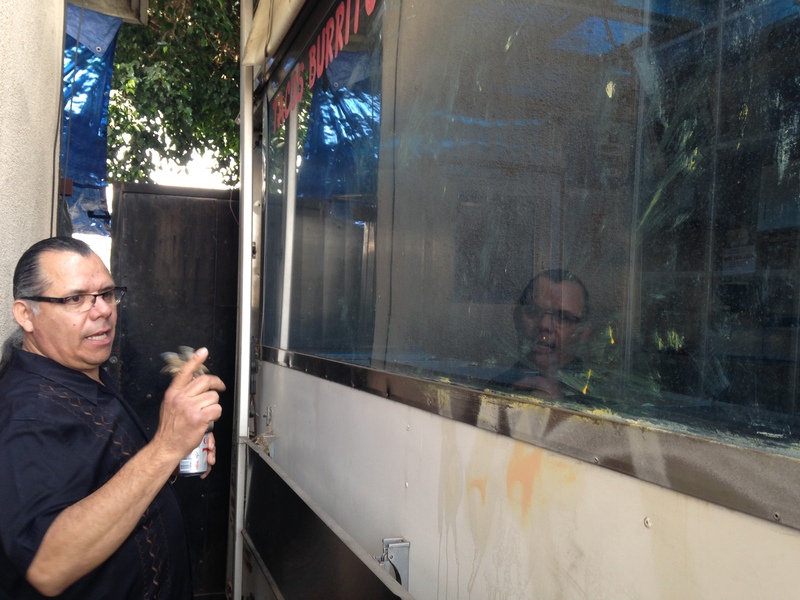 His first job in L.A. after emigrating from Mexico 30 years ago was selling tacos out of a truck. He moved on to other lines of work, but returned to tacos in 1993 when he set up a street stand in South L.A. Within a year he progressed to a taco-trailer, and by 1997 had built his own brick-and-mortar restaurant at Vernon and Compton avenues. 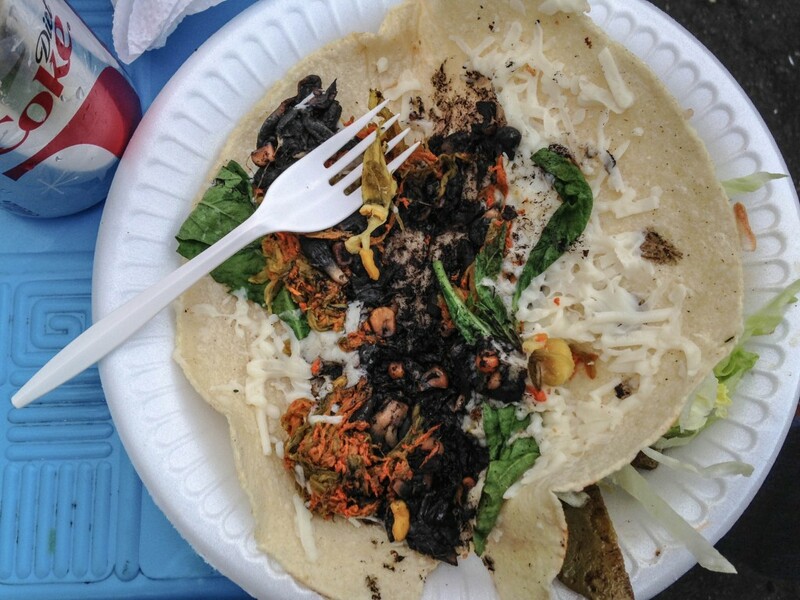 It continues to sell tacos along with burritos and other Mexican snacks – but it faces competition from many nearby street vendors selling nearly identical items. Another concern is food safety. In the years of running La Carreta, said Diaz, he’s learned how to regulate cooking temperatures and comply with myriad other health department standards. “Other people don’t know nothing about what’s safe for customers,” he said. Diaz said he’s skeptical that street food’s legalization will pass at all, simply due to the challenges of cooking outdoors without proper equipment. However, street vending advocates consider the permitting systems in major cities such as New York and Portland to be proof that legalization will work. The details of proposed regulations for street vendors in Los Angeles have yet to be revealed. No matter what the system entails, vendors hope the permit will be affordable, said Israel “El Peke” Villada, who sells steamed tacos each weekend at Mercado Olympic. Otherwise, he said, street sellers will likely continue working without one, preferring to risk the disruption that comes when the police or city enforcement teams show up. As soon as the daily taco supply runs out, usually around 4 p.m., Villada can take off his salsa-stained apron and stop working. After hours of keeping his eye out for cops and city inspectors, Villada ambles through the Mercado Olympic in his jeans and hoodie like hundreds of other shoppers hunting down buttered corn on the cob and steak quesadillas. He is free, finally, from the fear of getting caught. The Mercado Olympic, the street food marketplace highlighted in the video above, is located at Olympic Blvd. and Central Ave in downtown L.A. Visit Bill Esparza’s blog “Street Gourmet L.A.” for recommendations on what to eat. Occidental College’s Urban and Environmental Policy Institute conducted a study in 2011 about healthy food access in South L.A. and surveyed 45 people about their mobile vending businesses. Here are some of the results. For more, read the full report online. Produced for Text, Broadcast and Digital classes at the USC Annenberg School, fall 2013.